Paint a layer of primer on the placemat to cure the surface. 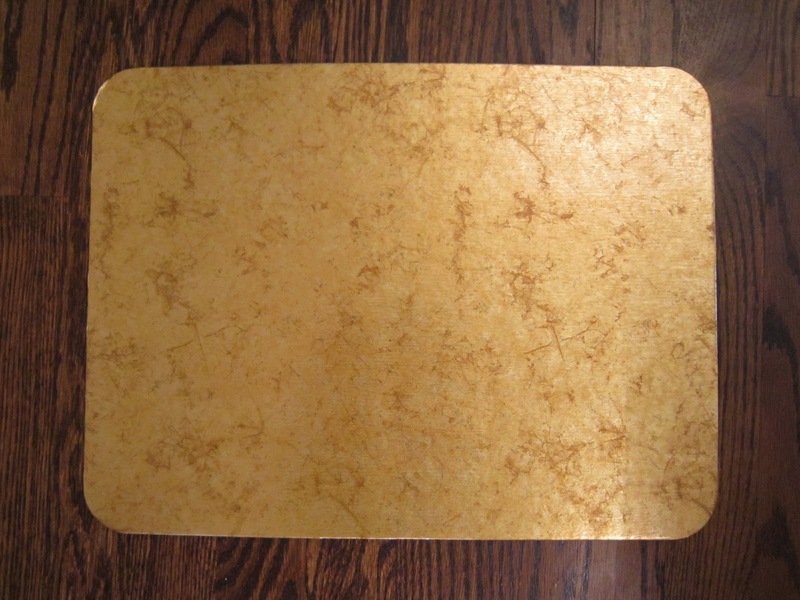 Apply 2-3 layers of Chalkboard paint onto the hard surface of the placemat. Allow an hour to dry between applying another layer. Wait 3 days for the paint to cure. Gently rub a piece of chalk on its side over the entire surface and then rub off with a dry cloth (this preps the chalkboard surface from permanent chalk mark damage).